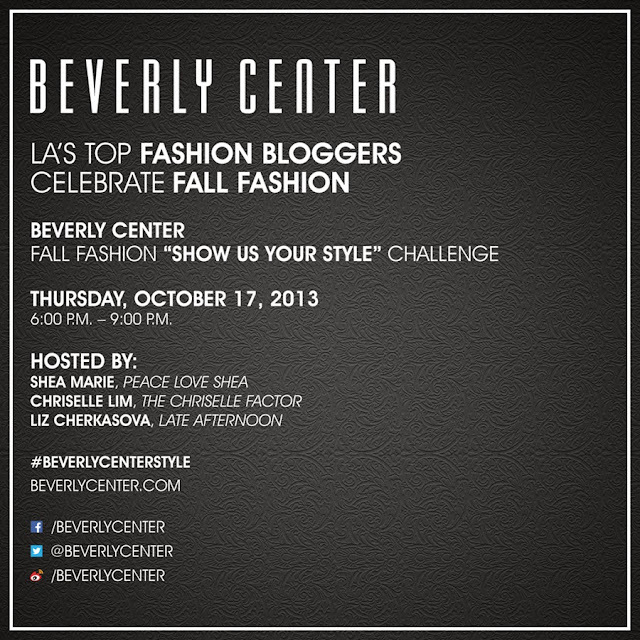 So excited to share my outfit for The Beverly Center Fall Style Challenge. Myself, along with several other LA based fashion bloggers, were asked to create a complete fall look under $125. I have to admit that only being able to use one accessory and one article of clothing from my own wardrobe was quite difficult. However, I was up and ready for the challenge! One of my favorite things about fall is being able to layer and that's exactly what I intended to do with this look! I found some amazing, affordable pieces from Forever 21 that allowed me to to incorporate many trends. 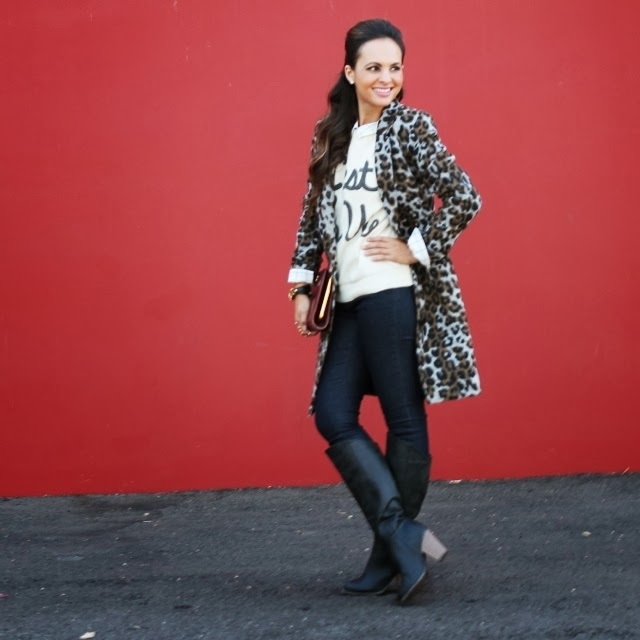 I mixed a striped button up top with my own leopard coat, layered it with a graphic sweater and finished off the look by pairing it with dark denim and knee-high boots. I kept my accessories simple with gold rings and a statement bracelet. Last but not least, I added a pop of color with my own vintage leather Gucci clutch. Please join me and all the other bloggers at The Beverly Center on October 17th where we will be judged by bloggers, Chriselle Lim, Shea Marie and Liz Cherkasova. The winner of the contest will go home with a $500 gift card! Wish me luck and hope to see you all there!